Happy Friday my loves! I hope everyone had a wonderful week. 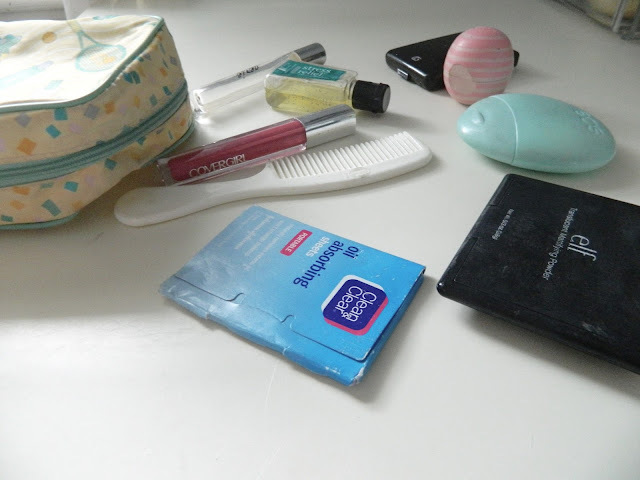 Today I'm talking about the items that I keep in my on-the-go "makeup" bag. I use the word "makeup" lightly, because a few of these item aren't really makeup related. I know some people carry tons of makeup in their purse, but I personally don't. I feel like it's a lot of stuff to carry around, and I just prefer carrying the bare essentials. This makeup bag is from Clinique, but for some reason I can't find it anywhere on the site. I believe these bags typically come with their gift sets (it may not be the exact same bag but all their bags are amazing). I've used a few Clinique makeup bags in the past and they hold up so well and honestly never seem to get worn out! I've had this blush for such a long time, and it was starting to get a bit low so I decided to throw it in my makeup bag for quick touch up's. The Covergirl blushes are fabulous, and I highly recommend them as a drugstore blush. I don't use this everyday, but this blush is great to throw in your purse as well because it comes with a little brush. The brush isn't that great, but it's totally fine for fixing your blush if you need to touch up during the day. I absolutely love these lip balms. I've tried so many of the EOS balms and they're all amazing. I discovered this one and purchased it on a whim because the scent (coconut milk) really intrigued me. I'm not entirely sure it actually smells like coconut milk (as I've never smelled coconut milk) but it just smells really fresh and sweet. I use this a few times a day just to moisturize my lips. Something I really love about this stuff is that I can apply lipstick directly after without it sliding all over the place. A lot of lip balms I use, such as Carmex, tend to make lipsticks slide all over my lips and not really show up if I use it right after the balm. I still love my Carmex, I just don't use it if I plan on applying lipstick right after. I can't even tell you how many of these I've gone through. I think I've tried every scent possible. I'm pretty much obsessed with applying hand lotion (I hate when my hands feel dry), so I apply this a few times a day. These lotions are the perfect size to just throw in your bag. Plus, they're such a cute shape and just look adorable. I think every girl needs a translucent mattifying powder in her purse, and this one is $3?! (I still get go over the prices of Elf products..) Again, this is not one of my everyday products, but I do use this frequently just to touch up areas that have lost some coverage or are getting a bit shiny. It comes with a little sponge that you can use to apply to product so you don't have to keep a separate brush or powder puff with you. I love keeping these little rollerballs in my purse in case I forget to put on perfume or if I feel like my scent has worn off throughout the day. It's so easy to just slap some on your wrist or on your neck and be ready to go. Ideally, it's a good idea to have a rollerball version of the perfume you wear on a daily basis, but I alternate perfumes so often that it doesn't really matter. I'm a freak about hand sanitizer. I use hand sanitizer so many times throughout the day. Hand sanitizer is definitely a must to keep in your purse. 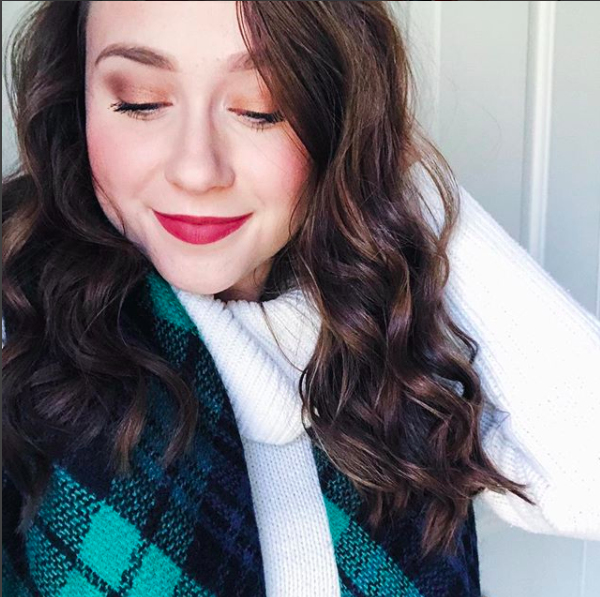 I always just throw whatever lip color I'm wearing that day into my purse, however, I always just keep this simple pink gloss from Covergirl in my makeup bag because it's perfect for everyday. If I happen to forget my lipstick or lipgloss, I can always just throw this on and it matches whatever I'm wearing that day! Everyone needs to keep a comb in their purse (just in case). Sometimes you just need to fix your hair! Any comb, of course, will do just fine and will come in handy for sure. These come in so handy! It's weird because I may have mentioned this before but... I have dry skin. So why do I need blotting papers? Honestly, I'm not sure. I'm all about looking as "dewy" as possible so I can fake a glowing complexion, but sometimes it's just too much. In the summer, I'll occasionally get more of a "greasy" look in my t-zone rather than a dewy look. These are great to use to dab off any oily areas before touching up with powder. Using blotting papers will also ensure that you keep your powder brush/sponge germ-free. 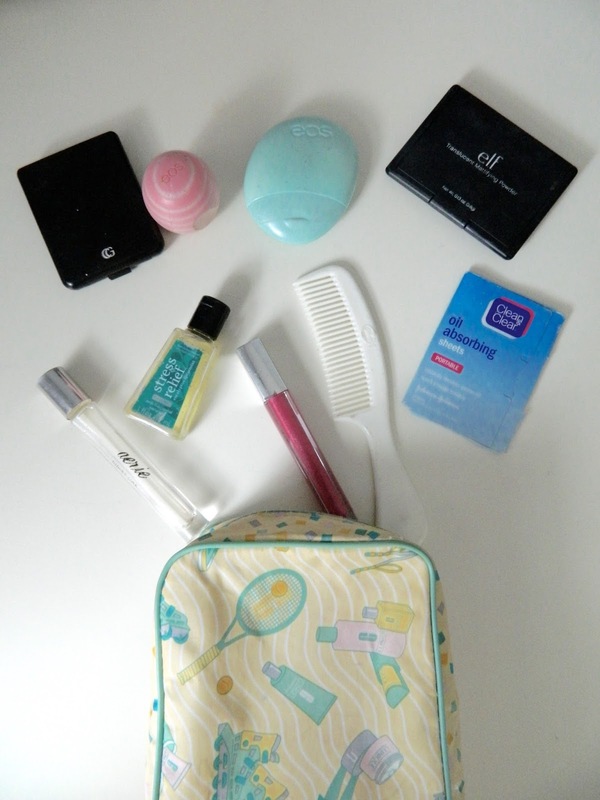 What products do you guys love to keep in your purse? Great post! I love the brand Elf! I don't think I could live without most of these things in my purse! Great picks.